It’s time for another new exhibit! 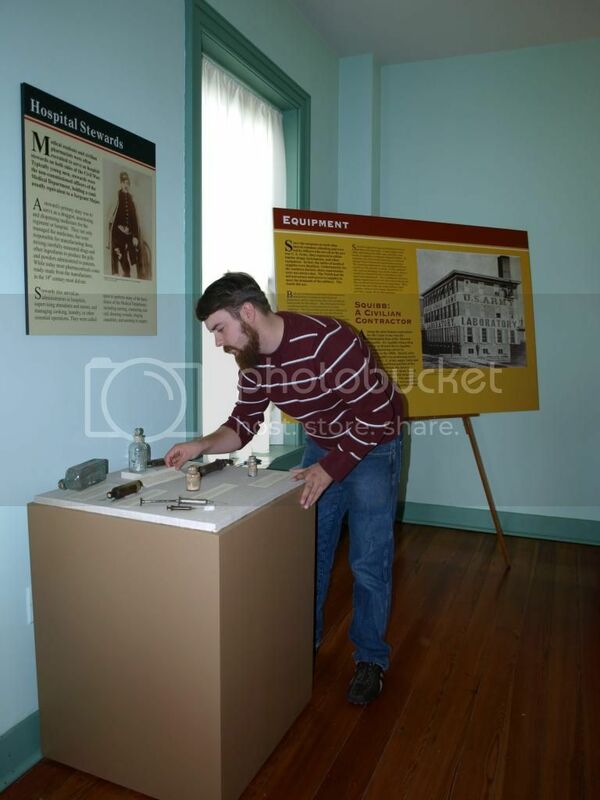 Last week I helped to install an exhibit out at the Pry House Field Hospital Museum, on Medicines in the Civil War. NMCWM Educator, Kyle Wichtendahl developed this exhibit, so my role was mainly to help choose the appropriate artifacts, and then to pack them and transport them to the Pry House. Don’t laugh, but I’ve found this to be an effective method of transporting smaller artifacts! Of course the artifacts are padded and packed well inside this acid-free box first. I like to tie the lid down to keep everything securely inside the box. 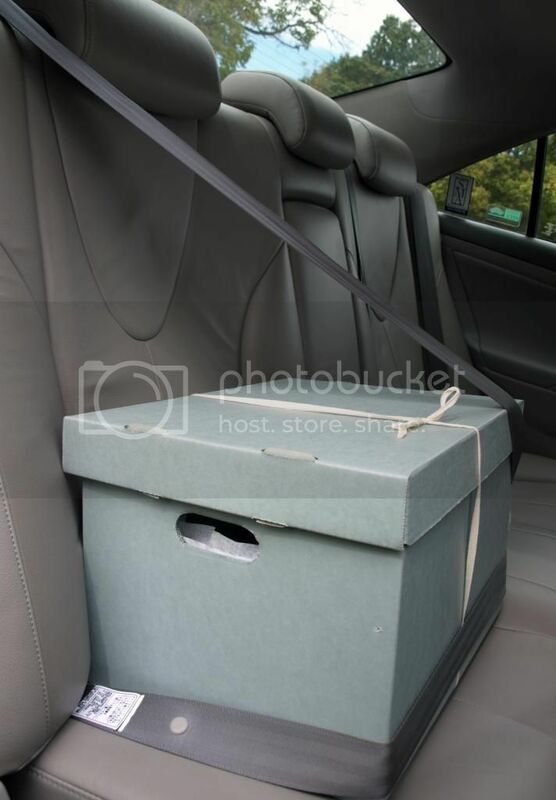 The seatbelt ensures that the box doesn’t slide around inside the vehicle. The box with the larger artifacts is secured in the trunk with a cargo net. So, now that the artifacts are ready to go, let’s take a look at some of the drugs which were used during the Civil War. The exhibit covers some of the beneficial drugs of the time, such as opium and quinine, as well as some of the harmful drugs such as mercury and lead acetate. 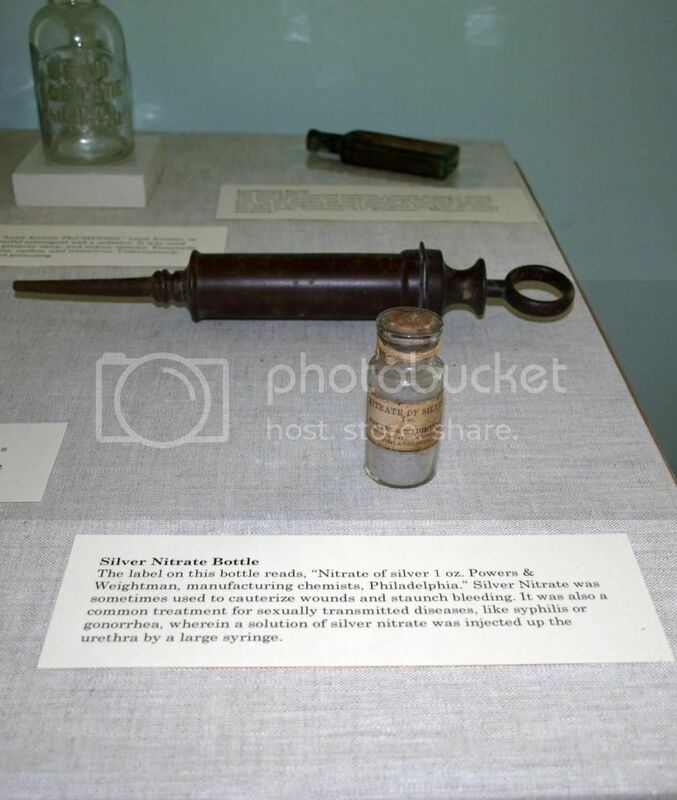 Also on display is my museum’s TV star – the bottle of silver nitrate which was featured on Mysteries at the Museum! You can see the post about that episode here: http://guardianoftheartifacts.blogspot.com/2014/03/mysteries-at-museum.html. 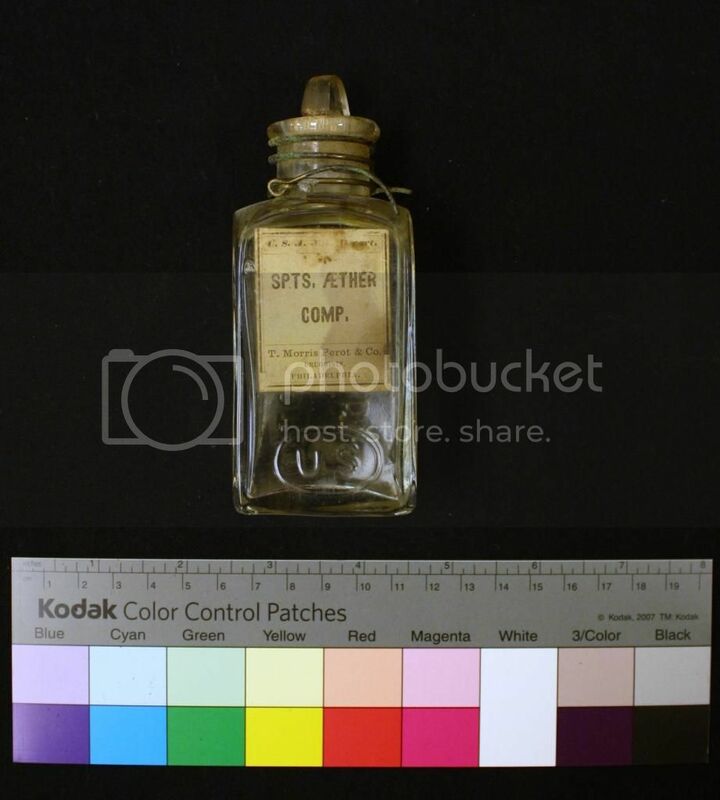 The large syringe on display behind the bottle would have been used to inject this medicine. 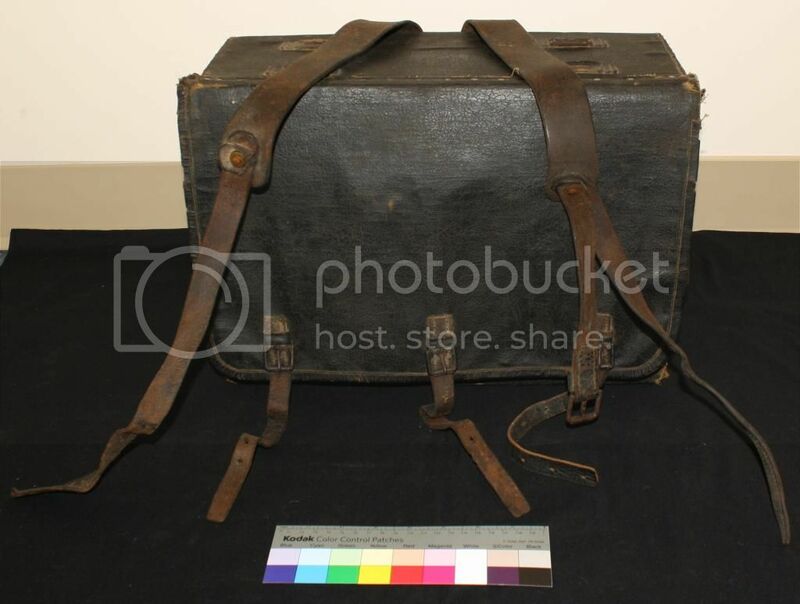 This hospital knapsack could be easily carried, and allowed the battlefield medical personnel access to the medical supplies needed to treat the wounded soldiers. The case exterior is made of black oil cloth, and it covers a wooden frame. The interior consists of an upper drawer which swings out and down from the knapsack. The lower portion of interior has wooden dividers for the medical containers and supplies. This medicine tin is one of several which came from the knapsack. 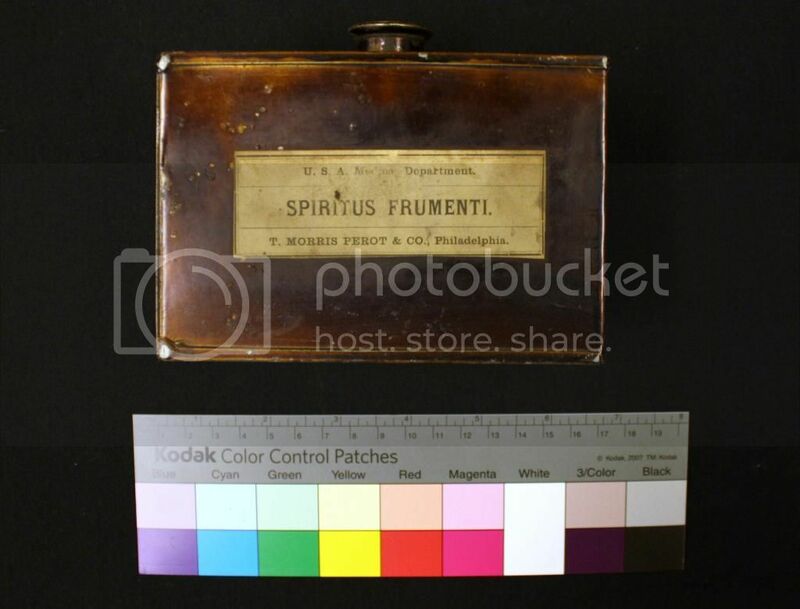 It contained “Spiritus Frumenti” or medicinal whiskey. As you can see from its label, this tin was made by T. Morris Perot & Co. of Philadelphia, specifically for the U.S. Medical Department. Not all of the artifacts we wanted could be displayed. I made the decision not to risk transporting this bottle of ether, even though it would have fit well into this exhibit. Though it’s hard to tell in this photo, the bottle is still about a third full of liquid. I did not want that glass stopper working loose during the ride in the car! Here, Kyle makes sure all the labels are placed correctly before we put the covers on the display cases. And here’s the new exhibit! 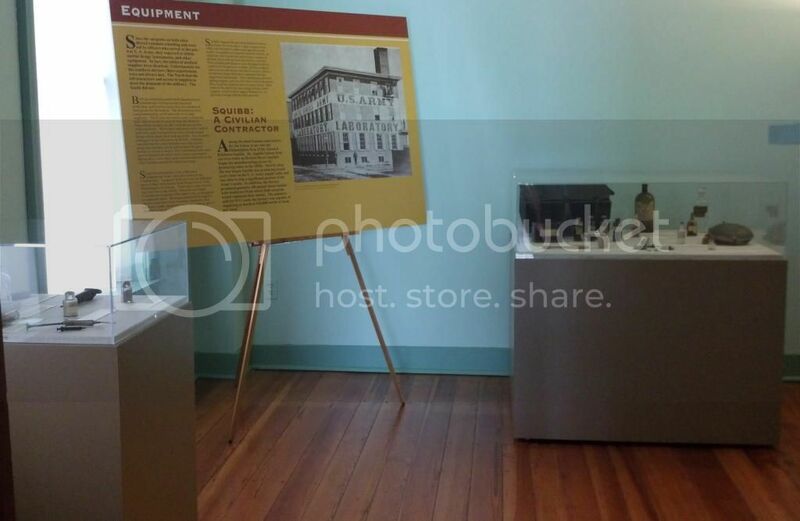 “Medicines in the Civil War” will be on display at the Pry House through 2015. Come by and see it if you get the chance! A Beautiful Day at the Pry House!